The Westbury Festival is now in its second year. 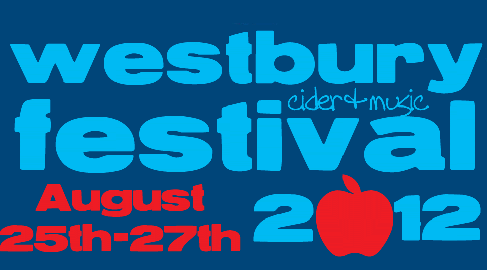 If you are looking for a new, fun and memorable music and cider weekend this summer then look no further than the Westbury Festival in Gloucestershire. After the great success of last year and to keep things fresh they have decided to extend the Festival to 2 days over the August Bank Holiday weekend, 25-27th August. Set in a lovely rural setting the organisers provide a fantastic mix of great music, great cider (or beer etc), great company and catering for all ages. They have handpicked a fantastic selection of local and award winning regional ‘3 counties’ ciders, as well as festival favourites from the West Country. Notably Hartlands and Severn Cider. >> View the full cider list here (PDF). You can get involved by leaving your comments below to suggest to the organisers what other ciders and perries you would like to see at the bar. They want to make sure all levels of cider tastes are catered for. Make sure you get into training for the Tug of War, as their is a keg of Cider to the winners. Also for the retro fans EMF are doing a set on the Saturday night. Sweet!